2017 has gone by so quickly and to be honest I feel like I haven’t really accomplished anything this year. And before you roll your eyes, I’m not trying to whine. This is me trying to have discipline. This is merely me trying to get back into writing. This is me trying to brand myself. This is me trying to hold myself accountable of what I want to achieve. This is me, just being me. I started off the New Year with no expectations really. I was in the Philippines visiting, not really thinking about what I wanted this year. I was thinking more about the present and having fun with my family that I haven’t seen for 10+ years. 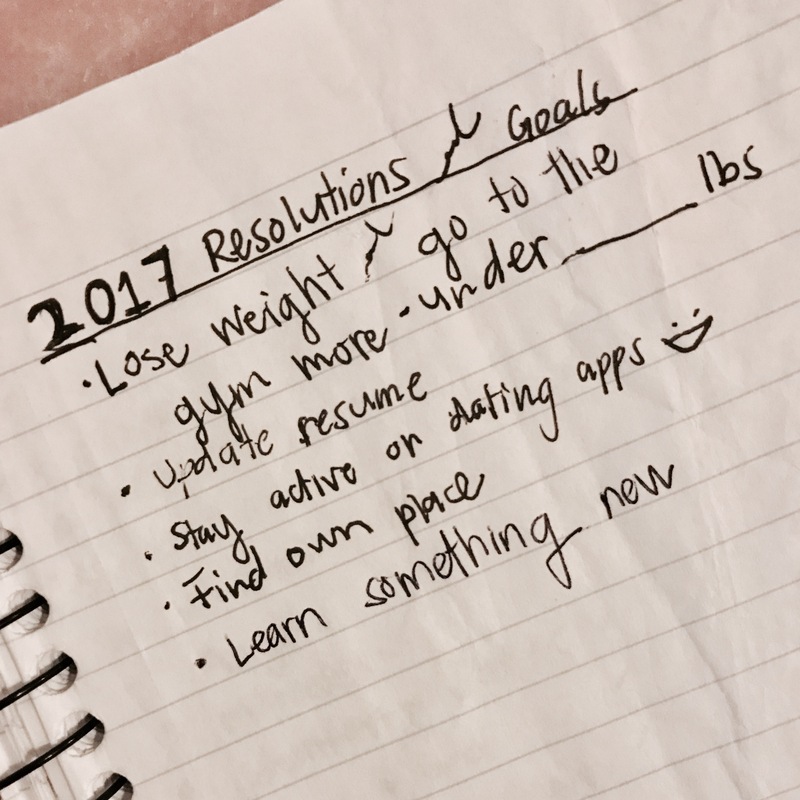 I did have some resolutions, though – the typical ones I have almost every year. So whilst in the Philippines, I wrote a short list down in my little notebook. And up until today, I hadn’t even given that page another look. Sure, I may have forgotten I wrote those things down, but they’ve been on my mind these past months. But to be honest, I only feel confident in saying that i’m “learning something new”. Note, when I said “learn something new”, I had no idea what exactly I was going for. I still don’t. But I’d like to think i’m taking baby steps. At one point, I wanted to learn Photography. At another point, I wanted to learn how to sew – like legit sew with a sewing machine. I keep buying new make up & brushes with the intention of learning how to do make up better. More recently, I read a book on how to step up my Instagram game. I think it’s working. *Insert awkward laugh* After I finished that book, I bought a book on how to build a website. I got a long way to go, but baby steps, right? As a recently turned 28-year-old, I still don’t know what I want to do. But I realize that there’s so many resources to learn. Which led me back to this blog. I bought this domain many months ago and I’ve done nothing but recap Pretty Little Liars, which ended. Why did I even buy it? It was an attempt to brand myself. I realize now that I should have put more thought into it, but it’s done and I’m still happy that I did it. But anyways, what do I do now? They say that you should write for yourself first, to know yourself better. Who says that? I really don’t know, but it makes sense to me. I need to challenge myself and feel inspired again, which is the reason for today’s blog and the blogs to come. Yeah, I know. I was all over the place. But this is what I want to do right now, so deal with it. For 31 days, I’m challenging myself to write a blog a day. I’ve gathered topics from those “30 day challenges” you see on Pinterest and I hope to write at least 500 words on each topic. This entry was posted in A blog a day August 2017, Personal and tagged About Me, blog, life, Personal, prompt, random, writing on August 1, 2017 by Adele Fredeluces.